In today’s world, cloud services are very beneficial, especially when every business is in search of ways to automate work as much as possible. However, cloud services not only save time or money but also improve process management through optimization and is flexible. Whoever thought that removing the human touch from any process is not value-adding might never have used a cloud service at all. Because that’s the beauty of cloud services. There’s a whole big library of these services and any of us can find a service or two that will be useful to any small business. 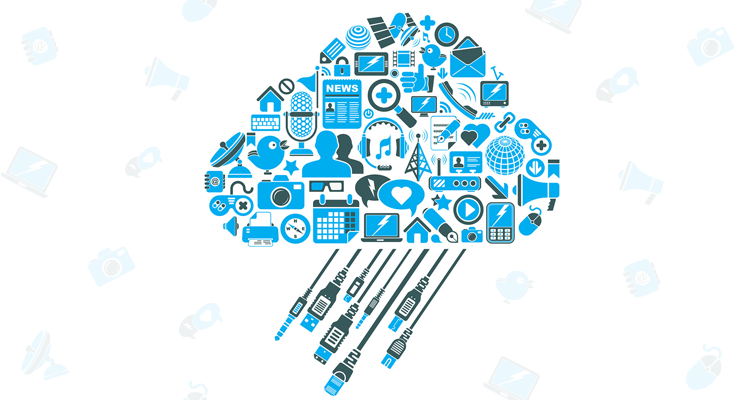 You can find many custom-designed cloud services that particularly manage specific business process. And today, we will discuss five such cloud services that can benefit your SMB’s marketing process. Manage your social media in the most improved manner using this omni-social channel scheduling system. With SocialOomph you can enhance your social media posting easily. 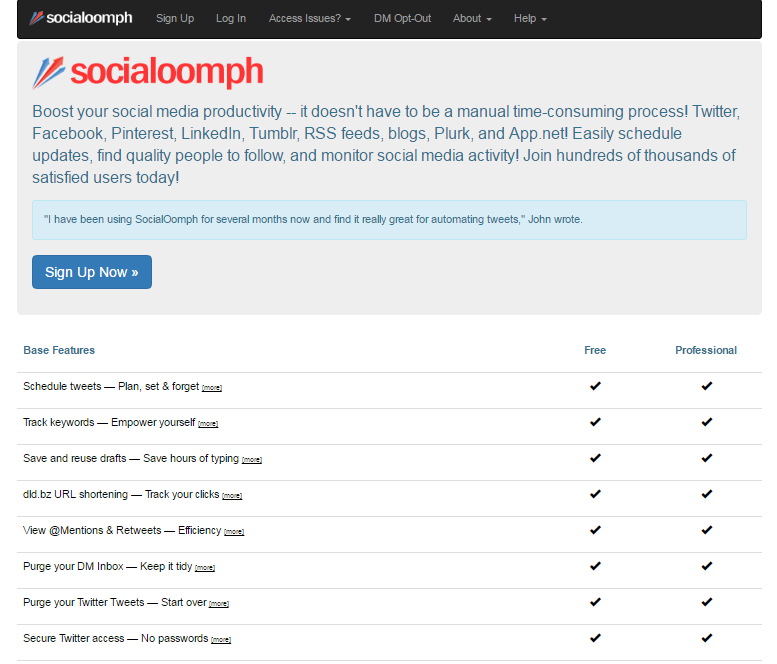 It allows scheduling for Facebook, Twitter, G+, LinkedIn, Plurk, and also any blog. You can use the tool to schedule posts/tweets, track keywords, view web mentions, auto-follow, DM inbox cleanup, auto-DM features and much more. It can perform functions like auto-follow any new follower in Twitter or send automated replies on your DM or monitor all social media activity. You can try out their free trial with basic features today to get hang of this tool. So marketers, now you can utilize those extra hours to learn new marketing strategies rather than spending your quality time on social media to upload posts. TrackMaven is a tool that helps you learn how your content is performing on various social channels. It analyzes all the social channels plus other online channels such as emails, SEO, paid ads, blogs and earned media. Get an in-depth analysis on how your content influences the web and learn to optimize your content. This content analysis tool will also inform you about how your competitor’s content is being absorbed by the web audience. Know more about audience and brand engagement and refocus on your marketing to get better results. 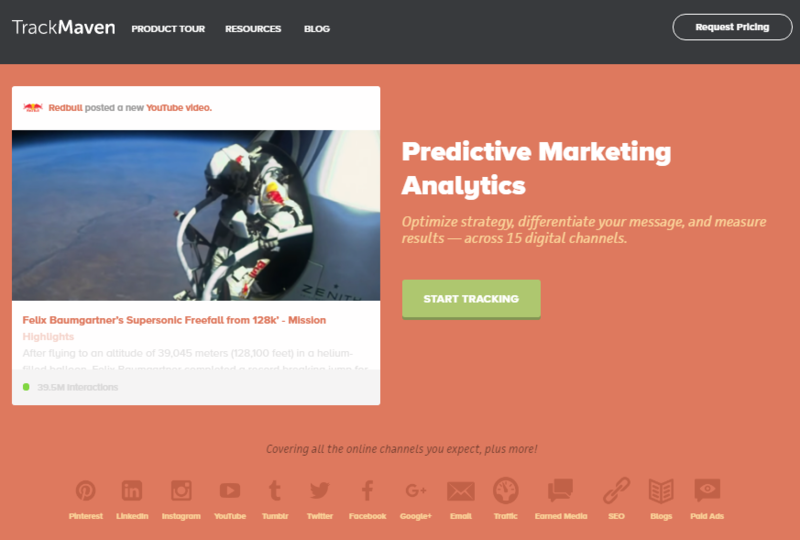 Get TrackMaven today and learn more about your content. Marketers, here is the answer to all your “better web engagement” problems. Wistia is an excellent video hosting tool especially made for professionals and businesses. It not only provides video hosting but also offers marketing tools and video analytics to engage better. 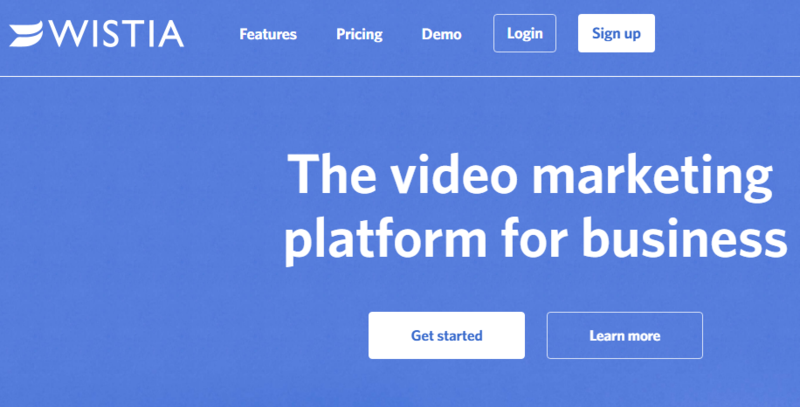 This cool video tool has more business-centric features such as email collection tools, integration of custom call-to-action messages/buttons and various other techniques to increase user engagement. Wistia users can also learn about video conception, strategy and production using their demos. This online designing platform allows you to create professional pictures using various layouts and templates. It is a free platform, however, you need to pay to use licensed templates, designs and pictures. It has a vast directory in terms of pre-designed templates and quality pictures. 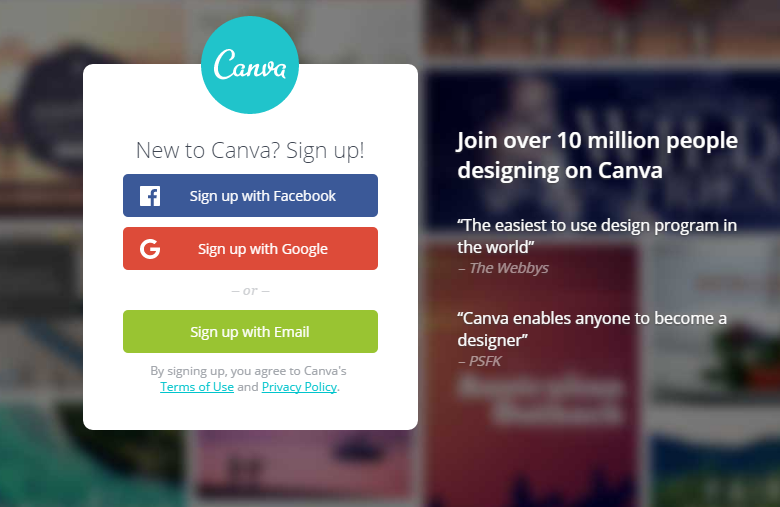 You can use Canva to make FB posters, blog images and other social media graphics. It’s simple interface is its USP because it lets an amateur design easily using this platform. Save yourself a lot of time by automating your lead tracking, nurturing and scoring, email marketing, and customer support and engagement by using Agile CRM. 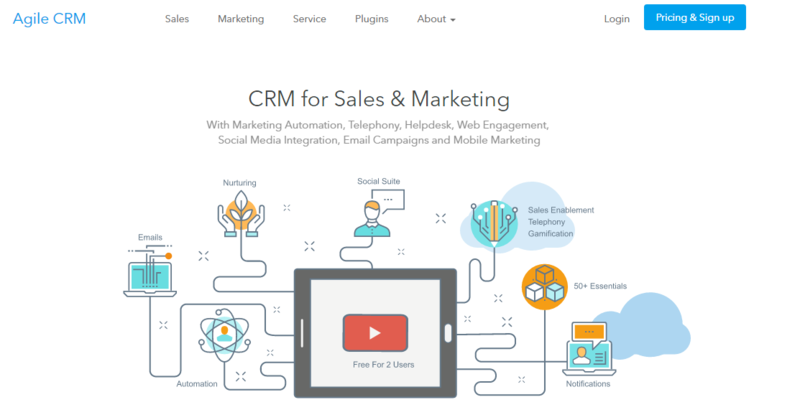 This all-in-one CRM will seamlessly optimize your marketing process and manage your tasks. The benefit of using a marketing CRM is that every process will operate in a unified manner, which can help in gaining better results and restoring efficiency. If you are an SMB who is still contemplating on getting a cloud service then move over here and choose any or all of them for your business today. These services are cost-effective, time-saving and beneficial for your marketing if strategized accurately.